Sushmita Sen’s happy moments with her daughters during sunset! Former Miss Universe Sushmita Sen is a gifted actress as well as a good mother to her two children. She loves and cherishes every moment with her kids and, sometimes, shares the unmissable moments with her fans through social media. Recently, Sushmita Sen shared some astonishing pictures of her daughters and herself through her Instagram account. Recently, Sushmita enjoyed a beautiful sunset with her two daughters, Renee and Alisah. She took to Instagram to share the superb photographs with her admirers. In one loveable photo, Sushmita can be seen kissing Alisah, while in the other, she is gazing at the impressive sunset with her elder daughter, Renee. ← Sunny Leone’s latest gorgeous outfit from the sets of MTV Splitsvilla! 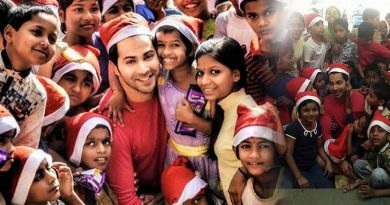 Varun Dhawan’s Christmas with orphan kids! Priyanka Chopra is a woman of substance, reveals Sonakshi Sinha! 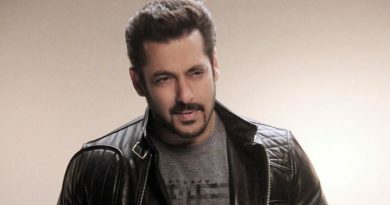 It’s a house arrest for Salman before Bigg Boss 11 begins!